We knew about Citizen Koch Directors, Tia Lessin and Carl Deal, from their Academy Award Nominated film Trouble the Water (2009) and from their work with Michael Moore on some of his groundbreaking films (Bowling for Columbine and Fahrenheit 9/11). This pair obviously has documentary cred, but when we heard they were making a new film about the 2010 Citizens United Supreme Court decision and its alarming fallout on the American people, we pounced on the chance to support them. Citizen Koch illustrates the twisted and powerful influence that the Koch brothers have had on voter suppression in the United States at large. The film takes an in depth look into the lives of individuals in Wisconsin uncovering truths and stories from people where these brothers’ deep and creepy pockets and the Supreme Court’s decision had the greatest impact. While we haven’t yet seen the whole film, many noteworthy reviews have acknowledged the importance of this project and its effective contribution to the arduous task of overturning the Citizen United ruling. This compelling piece of authentic storytelling by those directly engaged with the dramatic erosion of democracy in the United States is beyond a wake up call, it is a call to action. Though the film’s incredibly busy crew was still buzzing with the success of their premier at Sundance, we were lucky enough to catch up with one of the Director’s, Tia Lessin, this month. She shares with us about not only their revelatory experiences at Sundance, but also their pressing and personal motivations in making this film, and where she sees the movement going from here. We are so honored to share her experience with the Kindle community and bring your attention to Citizen Koch, a brilliant example of social and economic justice education. Get involved here. Last month we premiered our film CITIZEN KOCH at the Sundance Film Festival in Park City, Utah. What an adventure! We are so grateful to Sundance for giving us a chance to introduce this new documentary to the world, to the Kindle Project and other supporters for making the film possible, and to the audiences who attended the first screenings and so enthusiastically responded to the film. One of the more memorable and satisfying experiences of Sundance are the Q and As after the screenings—an opportunity to engage in person with some of the best audiences in the world—and ours were especially lively. And you never know who will turn up. A woman approached us after our second screening and told us that she had been an invited guest at one of billionaire Charles and David Koch’s biannual fundraising retreats–a secret convening of the country’s wealthiest conservatives, Tea Party-aligned politicians, and right wing pundits –plotting how to deploy hundreds of millions of dollars to influence the outcome of elections. I took a step back. But instead of taking issue with the film, this stylish well-dressed woman told me: “you have it right—it is indeed a state by state strategy they are undertaking.” I asked her if she would take me as her plus one to the next retreat, but she declined with a laugh. I hadn’t been joking. 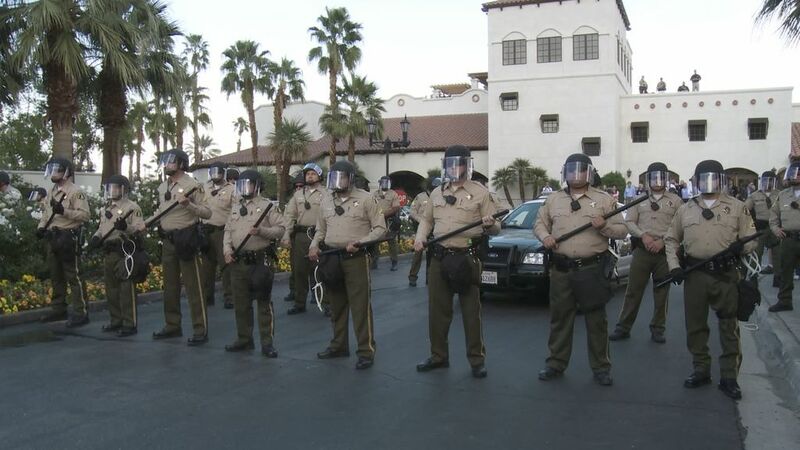 In January 2011, the Koch’s private security goons kicked me out of the gathering in Palm Springs, California. But that didn’t shut us down, in fact that experience compelled us to make CITIZEN KOCH. While the beginning of the money trail that corrupts democracy hides behind well-guarded banquet halls in private resorts, its corrosive consequences are glaringly apparent in workplaces, at family tables and in statehouses across America. And that is where CITIZEN KOCH begins. Shortly after being ejected from the Koch fundraiser, we got a call from Carl’s brother, who works as a public university professor in Wisconsin. He told us “you should be filming what’s about to go down here.” Newly-elected Gov. Scott Walker, bankrolled by corporate money including the Koch fortune, had proposed eliminating collective bargaining rights for public employees, and tens of thousands of Wisconsinites were storming their statehouse in protest. Carl and I grabbed our gear and set out for Madison. We came to understand the political drama unfolding in Wisconsin to be part of a concerted and nationwide strategy by extremists to super-enfranchise the wealthiest people and corporations through allowing unlimited (and undisclosed) donations, and to undermine the already diminished power of working and poor Americans with the passage of voter ID laws and efforts to break unions to diminish their ability to spend politically. Wisconsin was at the cutting edge of this strategy: we repeatedly heard Republican operatives say that Gov. Walker’s Wisconsin was “a model for the country,” that his moves against organized labor would help pro-business Republicans gain control of elected offices throughout the country. Following this story also gave us a chance to make sense of why so many working class Republicans support an agenda promoted by America’s wealthiest. We have long wondered what it would take to change that dynamic, and in Wisconsin, we found out. As protesting crowds rattled Madison’s Capitol rotunda, we were struck by the widespread outrage Gov. Walker had provoked. It was coming not just from the usual activists, but from a groundswell of citizens who understood that Walker was betraying Wisconsin’s legacy of democratic values. We met state workers—staunch, life-long Republicans—who had concluded that Walker’s radical policies would undercut their families’ modest standard of living and dishonor their life-long commitment to public service. Neither of us live in Wisconsin. Carl grew up in the Midwest, I grew up in Washington, DC. But as we watched and listened to a growing chorus of politicians and strategists like Tim Phillips from the Koch’s Americans for Prosperity cast aspersions on public employees, it felt personal. My parents were both federal civil servants — my father at the EPA regulating carcinogens, my mother at the justice department administering federal funding to state and local law enforcement agencies. Carl’s father was a public university librarian, and his mother taught in an elementary school. They all chose government service for the security it brought to our families, and also because on some level for them it fulfilled a sense of commitment to the common good. When did they become the enemy? When did WE become the enemy? In our first feature length film, TROUBLE THE WATER, we documented the aftermath of the breaching of the levees in New Orleans. Making that film, we saw first-hand what an America with no government services looks like—not just in the days and weeks after the disaster, but in the years leading up to it. Today, the dismantling of the public sector and the vital services it provides has become the cornerstone of a political ideology embraced by the Kochs and others on the extreme right. Looking back, post-Katrina New Orleans now seems a logical extension of their vision for America. The most frequent question we encountered during our Q and A sessions was whether or not we thought outside spending in electoral politics was still an issue: after all, Barack Obama withstood a barrage of corporate money in November 2012. We believe that Obama’s victory was a false positive. Moving beyond 2012, we expect money to become an even greater influence as Koch Industries and other corporate interests continue to move aggressively to neutralize the Democrats’ ground game (ie take out organized labor) and pour money into state and local races where the laws that define how our Democracy functions are passed. The big spenders are doubling down for the next election, and beyond.